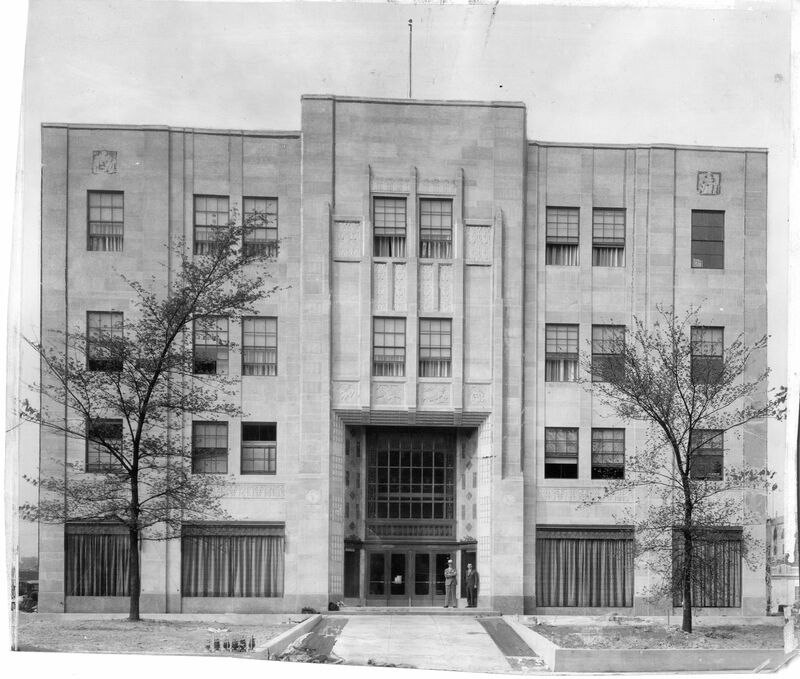 Pictured here soon after opening in 1930, the Strawbridge and Clothier store in Ardmore was built across from the Ardmore Station of the Pennsylvania Railroad and was part of a shopping center later called Suburban Square. In the late 1920s, Strawbridge and Clothier showed interest in establishing branches of the central Philadelphia store in growing upscale suburban communities, and this store in Ardmore was one of the first efforts. The Suburban Company, a retail development company in Ardmore, constructed a building to Strawbridge and Clothier's specifications, and fixed the cost of rent to at 2.5 percent of Strawbridge's monthly sales at the Ardmore location. The Suburban Company's actions provided insurance for Strawbridge in case suburban shopping did not catch on with the public. The Suburban Company envisioned the retail area in Ardmore as a commercial hub for western Philadelphia suburbs and the developer soon saw success when the Strawbridge and Clothier opened there. Shoppers frequented Strawbridge's so much that the building was expanded by several thousand square feet after two months of operation. 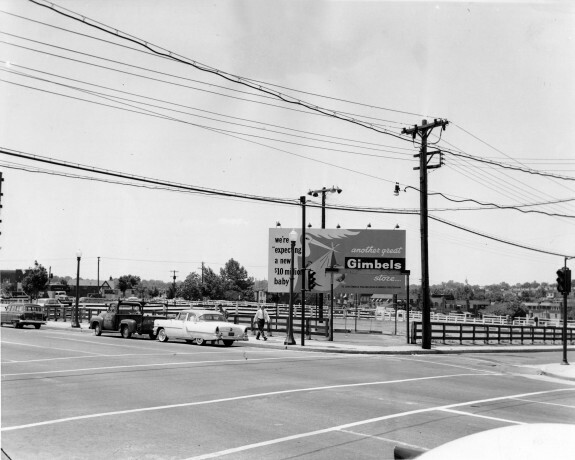 With the growth of the suburban residential environment after World War II, businesses like Gimbels focused on ways to develop branches outside of the center of Philadelphia. In 1956, Gimbels announced the construction of a large department store at the pictured intersection of Sixty-Ninth and Walnut Streets. The "$10 Million Baby" (as Gimbels is referenced on the billboard) was designed to be automobile-friendly and attract a variety of middle-class customers who did not want to travel into Philadelphia's central business district. Construction at this location took over a year, and the building was not was not finished until 1958. When the Gimbles in Upper Darby opened, the multi-level department store was complemented by a multi-level parking garage and an additional parking lot behind the building to cater to the expected automobile traffic. James Rouse, the well-regarded shopping center developer, was hired by Philadelphia's Urban Redevelopment Authority to design the Gallery at Market East in the 1970s. Working against the regional pattern of opening shopping centers in the suburbs, the Gallery was designed to attract people back into the heart of Philadelphia. The Gallery has four floors that are primarily accessible by an interior shopping environment, like a suburban shopping mall. Anchor stores also have their own entrances at street level. The Gallery also serves as a transportation hub for the SEPTA and PATCO subway systems. The view pictured here is from the corner of Tenth and Market Streets while the exterior was still under construction in 1977. The Plaza at King of Prussia has changed drastically since first opening in 1963, to cater to customers' changing expectations for shopping environments and services. 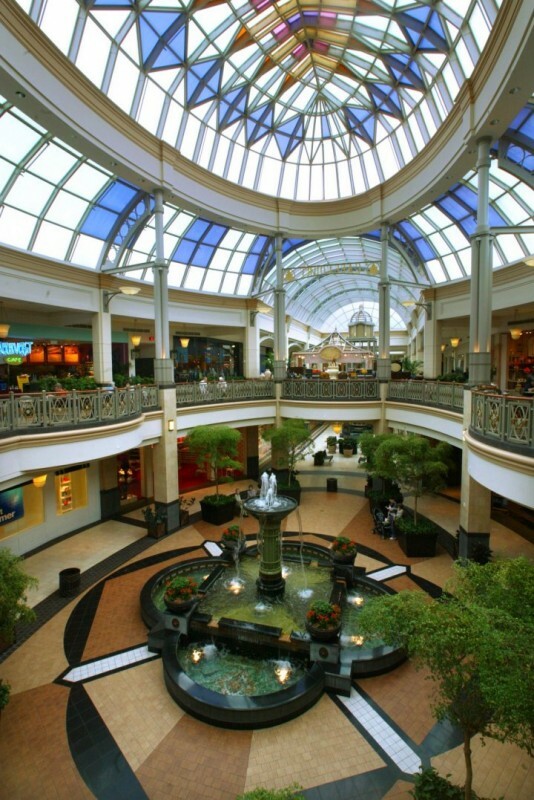 The Kravitz Company originally established the Plaza at King of Prussia as a large open-air mall, with numerous department stores, restaurants, and specialty shops totaling more than a million square feet of space. Shoppers who visited King of Prussia Plaza in the 1960s walked along large exterior sidewalks that were exposed to the natural weather. 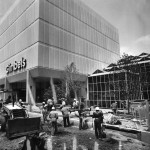 The Kravitz Company completed a series of renovations throughout the 1970s and 1980s to enclose and increase the size of the Plaza. A second enclosed shopping area called the Court opened adjacent to the Plaza in 1981. The central fountain of the Plaza, pictured here in 2012, demonstrates how modern malls have incorporated open spaces, natural lighting, and other "nature" elements (like plants and water) into the shopping experience, while still offering a temperature controlled environment and protection from exterior weather elements. 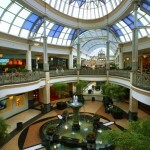 Victor Gruen designed the Cherry Hill Mall to replicate a town square atmosphere within an enclosed shopping center. Shopping center developer James Rouse collaborated with Strawbridge and Clothier president G. Stockton Strawbridge to turn Gruen's design into the first enclosed shopping center in New Jersey. 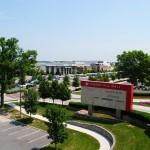 The Cherry Hill Mall opened in 1961 with the first Strawbridge location in New Jersey and specialty shops to attract customers, but the mall also attracted people through its decor and programming. The mall featured an island paradise, replete with tropical plants, birds, and fountains; hosted community oriented-events, such as boat shows and art exhibits; and promoted civic and community-based functions with the construction of its community hall and a 400-seat auditorium. Shopping centers, which bound retailers together into one physically convenient and accessible commercial venue for suburban consumers, profoundly altered Greater Philadelphia, redefining the region’s socioeconomic dimensions and destabilizing the city’s old, commercial core, the Central Business District. Commercial retailing also underwent significant changes, as the location, planning, and physical proportions of shopping facilities dramatically transformed the identity of the modern metropolis. In the decade immediately following World War I, commercial real estate developers and department store owners devised new strategies to make retail shopping accessible to the area’s growing suburban communities. Some developers, along with Sears Roebuck, a national retail chain, designed nascent strip malls in lower Northeast Philadelphia, Camden, and Upper Darby’s 69th Street shopping district, directly appealing to working-class consumers in these urban communities. Other developers targeted affluent streetcar suburbs, especially along the Main Line. The Suburban Company, which designed Suburban Square, constructed an automobile-friendly shopping district that appealed to area shoppers’ commercial tastes and interests. Fearing escalating prices for downtown real estate and competition from suburban commercial centers, Philadelphia’s department stores gradually embraced the decentralized retailing formula unfolding around the metropolitan area in the 1920s. 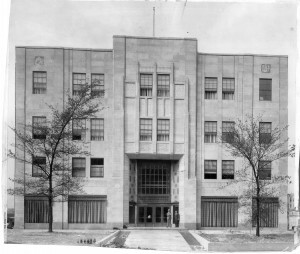 In 1929, Strawbridge and Clothier focused its retail strategy on established and emerging upscale suburban communities, building two branch stores in planned suburban shopping facilities, with one opening on the Main Line in 1930 and the other in Jenkintown in 1931. 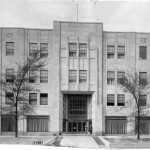 It thus became the first of the “Big Five” Philadelphia department stores to join the planned shopping center endeavor. Although the Great Depression presented investment and financial hurdles to further suburban retail expansion, both Philadelphia department store owners and suburban developers laid plans for expansion outward during the downturn. Real estate developer John McClatchy, for instance, approached Lits’ executives to open a branch store at Sixty-Ninth Street in the late 1930s, but delayed the project until 1947 because of lingering financial fears stemming from the Depression. As the war drew to its conclusion, other “Big Six” stores, namely Gimbels and Wanamaker’s, entertained the possibility of building branch stores in anticipation of further shopping center development in the suburbs. Accelerated residential decentralization after World War II hastened the central business district’s decline and inspired Philadelphia area retailers and developers to expand their commercial footprint outside the city’s borders. Together retailers and developers collaborated to carve out auto-friendly commercial marketplaces, with department stores functioning as anchor facilities. To attract middle class consumers, they constructed outdoor pedestrian and strip malls, which often included ample parking, various specialty stores aimed especially at women, supermarkets, banks, and restaurants, creating sumptuous commercial conditions to meet emerging consumer demand. Philadelphia’s major department chains and shopping center developers built or planned for fourteen branch stores between 1947 and 1955 in what they deemed competitive retail locations in Pennsylvania, New Jersey, and Delaware. In 1953, for instance, real estate developers planned to build a $15 million shopping center in Cheltenham, Pennsylvania, reaching agreement with Gimbels to construct a 250,000 square foot facility to anchor the site. Gimbels constructed two additional branch facilities, in the Sixty-Ninth Street Upper Darby commercial district and Northeast Philadelphia’s Bustleton-Cottman shopping center. Wanamaker’s, on the other hand, targeted more affluent suburban communities with its branch initiative, building stores in the Wynnewood shopping center in 1954 and the Jenkintown shopping center in 1958. 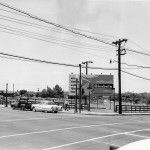 Lit Brothers, meanwhile, principally focused on Northeast Philadelphia and Lower Bucks County, opening branch stores in the Castor-Cottman shopping complex in 1954, and the Morrisville shopping center in 1957. In Philadelphia’s western suburbs, the Kravitz Company undertook a $20 million open-air shopping center project in King of Prussia, which partnered with national retail chains (J. C. Penney and F. W. Woolworth) and local department stores (John Wanamaker and Gimels). Aside from strip mall development, prominent commercial developers designed and erected enclosed shopping malls, which served as regional commercial hubs. In the mid-to-late 1950s and early 1960s, the aesthetic of shopping centers underwent a dramatic change, as mall architects and developers envisioned consumption spaces intended to mitigate the negative implications associated with suburban sprawl. They constructed enclosed malls, which incorporated garden courts, fountains, and air-conditioning to enhance the social and aesthetic features of mass consumption. Opened in 1956, Southdale Center, located in Edina, Minnesota, served as the archetype for enclosed malls around the nation, especially the Cherry Hill Mall. Victor Gruen, the esteemed shopping center architect who conceived Southdale, was hired to plan what would become the Cherry Hill Mall, which opened in 1961, in Delaware Township, New Jersey. He sought to recreate a town square atmosphere, which would promote social order in an age of sprawling suburban development. Embracing Gruen’s design, the mall’s developer, James Rouse, collaborated with Strawbridge and Clothier president G. Stockton Strawbridge to forge an idyllic shopping complex for middle-class consumers. Civic-oriented events also legitimized the communal stature of newly erected shopping complexes, as they employed marketing tactics, constructed large parking lots, and excluded “unsavory” social constituencies – namely racial minorities, vagrants, and the impoverished – to entice potential shoppers. 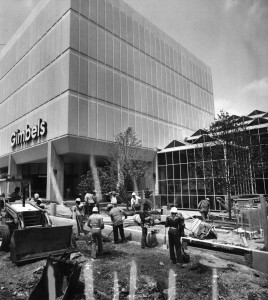 In 1955 Gimbels executives, for instance, celebrated the opening of their branch store in the Cheltenham Square Mall by calling upon Montgomery County civic and business leaders to attend their facility’s opening ceremonies in an effort to equate civic participation with commercial progress. Shopping centers made special efforts to appeal to female shoppers, who became the primary target audience of suburban mass consumption. To enhance their shopping experiences, local developers built spacious, well-lighted parking lots and established carefully monitored “public” spaces and activities, such as baby-sitting services and fashion shows, to attract female shoppers and their children. Consumer questionnaires, often sent to suburban households in the 1950s to gauge shopping sentiments and preferences, also found that white, middle-class women preferred to shop in suburban malls and department stores, especially Strawbridge and Clothier’s in Jenkintown, Lits Northeast, and Snellenburgs in Willow Grove, instead of venturing downtown to Philadelphia’s central business district. By the 1970s and 1980s, the commercial landscape of metropolitan Philadelphia had undergone a radical transformation. The development of major regional shopping centers, such as Cherry Hill and King of Prussia – which would become an enclosed shopping facility over multiple development phases during the 1970s and early 1980s – in the 1960s, spurred further commercial real estate expansion in Plymouth Meeting, Pennsylvania, and Deptford and Moorestown, New Jersey, during the 1970s. Although suburban shopping centers continued to flourish, James Rouse, the well-regarded shopping center developer, collaborated with Philadelphia’s Urban Redevelopment Authority to resuscitate Market Street’s long-suffering central business district during the 1970s. Under his direction, he designed the Gallery at Market East, which marked a critical turning point in downtown Philadelphia’s commercial fortunes. Upon its opening in 1977, it became the first regional shopping facility constructed in a major American downtown after World War II, reviving the city’s commercial stature and serving as a major regional shopping destination. In the 1990s, however, shopping centers in the Philadelphia region and around the nation confronted new commercial rivals, making economic and spatial modifications to remain competitive. As discount retail chains, specialty shops, and “Big Box” stores appeared in near proximity to traditional shopping centers, established shopping centers responded by undergoing structural upgrades. 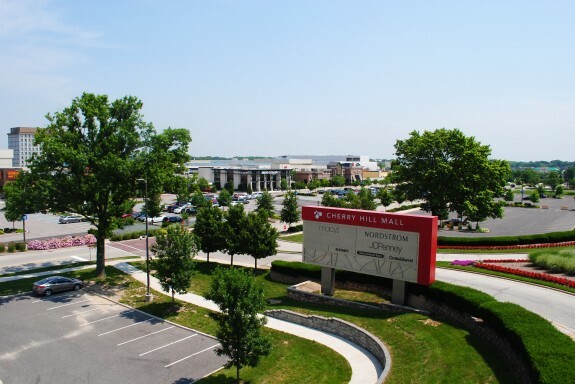 Cherry Hill Mall officials, for instance, installed “retail neighborhoods,” which catered to specific social lifestyles and economic niches, and a social services’ station, which addressed family-related concerns and medical emergencies. The Willingboro Plaza in New Jersey, which had been mired in perpetual economic decline since the 1970s, also became a target for redevelopment in the late 1980s. Developers reconfigured the Plaza’s physical dimensions to create a refurbished “town center,” which included a public library, townhouses, and community college classrooms. In making such adjustments, Philadelphia’s shopping centers adapted to the evolving commercial model unfolding around them, redefining their commercial spaces to ensure continued social and economic relevance in the twenty-first century. Matthew Smalarz is a Ph.D candidate at the University of Rochester who teaches history at Manor College. His dissertation examines middle-class whiteness and public space in Northeast Philadelphia following World War II. Cohen, Lizbeth. A Consumer’s Republic: The Politics of Mass Consumption in Postwar America. New York: Knopf, 2003. Crawford, Margaret. “The World in a Shopping Mall” in Variations on a Theme Park: The New American City and the End of Public Space, ed. Michael Sorkin. New York: Hill and Wang, 1992. Dunham-Jones, Ellen and June Williamson. Retrofitting Suburbia: Urban Design Solutions for Redesigning Suburbs. Hoboken, New Jersey: John Wiley & Sons, 2011. Gillette, Howard, Jr. Civitas By Design: Building Better Communities from the Garden City to the New Urbanism. Philadelphia: University of Pennsylvania Press, 2010. Gruen, Victor and Smith, Larry. Shopping Towns USA: The Planning of Shopping Center. New York: Reinhold, 1960. Hardwick, Jeffrey. Mall Maker: Victor Gruen, Architect of an American Dream. Philadelphia: University of Pennsylvania Press, 2010. Longstreth, Richard. City Center to Regional Mall: Architecture, the Automobile and Retailing in Los Angeles, 1920-1950. Cambridge: MIT Press, 2000. Longstreth, Richard. The American Department Store Transformed, 1920-1960. New Haven: Yale University Press, 2010. Teaford, Jon. The Metropolitan Revolution: The Rise of Post-Urban America. New York: Columbia University Press, 2006. Newspaper Department at the Free Library of Philadelphia, 1901 Vine Street, Philadelphia. Philadelphia City Archives, 3101 Market Street, Philadelphia. Cherry Hill Mall, 2000 New Jersey 38, Cherry Hill, N.J.
Cheltenham Square Mall, 2385 West Cheltenham Avenue, Philadelphia. The Gallery At Market East, 901 Market Street, Philadelphia. King of Prussia Mall, 690 West Dekalb Pike, King of Prussia, Pa. Suburban Square, Anderson & Coulter Avenue, Ardmore, Pa. VERY INTERESTING AND WELL WRITTEN ARTICLE.